This course will present traditional discipline strategies for classroom management in a proactive and assertive form. The myths that blame teachers for student misconduct are exposed in an age of misapplied self-esteem and increasing safety concerns. Educators learn to maintain a structured and supportive learning environment at all times with discipline plans from the books resources. Applying consequences along with positive recognition are outlined. Discover traditional classroom-proven practices that reduce teacher distractions so educators can focus on instruction and students learning. 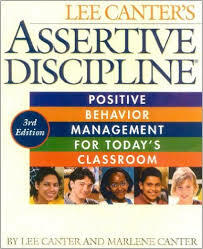 Educators will learn how assertive discipline approaches assists and supports teacher rights, authority and responsibilities. Teachers will examine myths and misinformation that often unjustifiably blame teachers for issues beyond their control or authority. Educators will be presented with numerous discipline plans and behavior modification strategies for implementation into the classroom environment. Students will be able to use the specific directives, implementing consequences and on-task behavior strategies for classroom management. Teachers will develop a discipline plan or classroom management activity that utilizes positive recognition along with limits, structure and respect for authority.